When considering becoming a homeowner, one of the decisions you can make that will be beneficial to you is to deposit a down payment. However, the question is how do save up that hefty down payment? One of the biggest roadblocks for prospective home buyers is securing a down payment. Fortunately, though, technology seems to be playing a huge factor in shrinking the burden of down payment. The whole saving process has become quite a bit less rigorous. Below is a list of how you can overcome the down payment hurdle and ensure you have enough money when it’s time for you to buy. Saving a fixed amount is the simplest and most convenient way to save money. Open a savings account and discipline yourself to pay in a certain sum into the account every month. Discipline yourself not to use the money for any other purpose aside for your down payment. Save a lot more than you spend, review your expenses and cut down on items that are not necessary. Whatever money generated as a result of this should be added to your down payment account. I know going for a vacation during the year is something you are looking forward to and you have it all planned out. However, if you are looking to save up enough money for your down payment, then you should consider scrapping out vacation until you have enough money for your down payment. Having a credit card with a high interest rate can limit your ability to save. Pay off your interest debt starting with the highest; after that, you can close off that card while you proceed to pay off the next. You can ask human resources or your payroll officer if it’s possible to borrow against your savings to buy a home. Many profit sharing setups make provisions for employees to loan a certain amount from their retirement plan to become a homeowner. When it comes to getting a home of your own, most family members and relatives would be willing to help; they can grant you loans without interest, gifts and other non-monetary items that will help you in your down payment quest. Getting a second job would mean you would probably be working round the clock, but in the long run, it would pay off. Getting another job means another source of income and more money to save into your down payment accounting. “Professional Realtors and Trusted Advisors Since 1985” ,The Othman Team has successfully assisted their clients with Residential and Commercial real estate services. 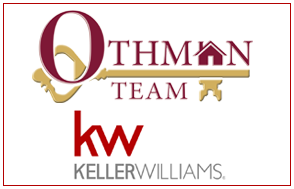 The Othman Team have continued to use their vast knowledge to assist their clients with all of their real estate needs, some of those clients are Banks and asset managers with extensive knowledge in standard Home Sales, Short Sales, REO Properties, and Property Management. The Othman Team has experience closing over $300 million of volume sales, also received many awards recognizing their hard work as top producing agents, currently hold an Honor Society Award, a President’s Circle Award, Double Gold, and “Top 1%” award, a recognition designated for only to the most distinguished and successful realtors. The Othman Team looks out for their client’s best interest, and offers the comfort of knowing they are working with a team that have proven track record in Professionalism, Integrity, Honesty, Knowledge, Experience, and an Outstanding Reputation. Based on information from California Regional Multiple Listing Service, Inc. as of 04/23/2019 06:09 PM. This information is for your personal, non-commercial use and may not be used for any purpose other than to identify prospective properties you may be interested in purchasing. Display of MLS data is usually deemed reliable but is NOT guaranteed accurate by the MLS. Buyers are responsible for verifying the accuracy of all information and should investigate the data themselves or retain appropriate professionals. Information from sources other than the Listing Agent may have been included in the MLS data. Unless otherwise specified in writing, Keller Williams Riverside Center has not and will not verify any information obtained from other sources. The Broker/Agent providing the information contained herein may or may not have been the Listing and/or Selling Agent.